How to Move OS to Intel SSD? Have you every try to upgrade your hard drive to an Intel SSD? Learn how to move OS to Intel SSD only with AOMEI Backupper and boot your computer from the new SSD directly. Why you need to move OS to Intel SSD? The SSD, short of solid state drive, is a kind of storage device that has better properties than HDD. It is faster, and it works quieter, however, it is more expensive than HDD. with time goes by, SSD is not an expensive storage device anymore, and more and more computer users try to move their OS to SSD for a better performance. ● The “Better Together”: for seamless performance and enhanced capabilities, pair Intel SSDs with Intel CPUs, chipsets, firmware, software, and drivers. You’ll get a system that works even better together. ● Lasting integrity: Intel SSDs are built with proven end-to-end data protection and the highest level of drive reliability. ● Reliably effective performance: Intel SSDs are tested more rigorously than the competition and provide substantial consistency of performance. Thus, move OS to Intel SSD is a good way to optimize your computer performance. To move OS to Intel SSD, you need an Intel data migration software. and here, we highly recommend you the software AOMEI Backupper, which can only move OS to Intel SSD, and you can boot your computer from the Intel SSD by changing boot order in BIOS. 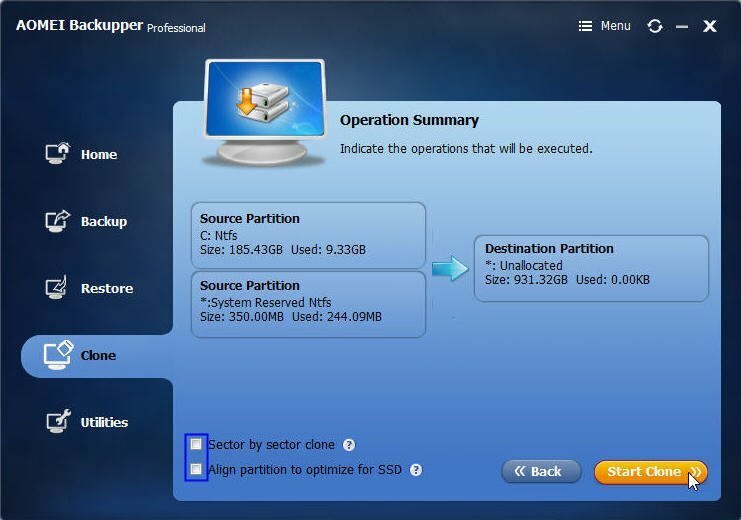 Here are the detailed steps of how to move OS to Intel SSD with AOMEI Backupper. Step1.Connect your Intel SSD to your computer, and make sure it can be detected. Install and launch AOMEI Backupper on your PC. To move OS to Intel SSD, here you need to click Clone->System Clone. Step2.AOMEI Backupper will choose all system files as the source party default, and here you only need to select the Intel SSD you plugged in before as new location for system. Click Next. Step3.After choosing the destination disk, it will show you the operation summary to indicate the operations that will be executed. If there is no problem, click Start Clone to launch the progress. ● If you are moving OS to SSD, please check the box before “Align partition to optimize for SSD”, cause it will optimize the performance of your SSD after cloning. 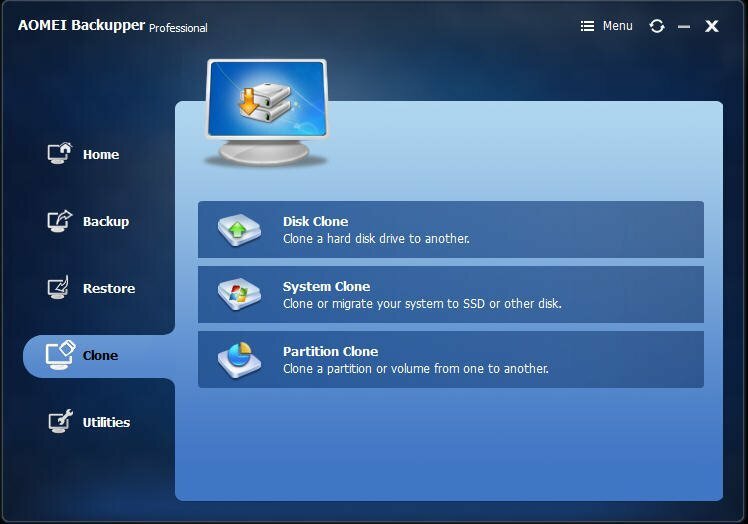 ● The “Sector by sector clone” will clone every byte on the system partition no matter it used or not, which will take more time and occupy more space on your destination disk. AOMEI Backupper is such a great software that can move OS to Intel SSD in a few simple steps. And you can use it to replace hard drive with SSD without re-installation. Besides, AOMEI Backupper is a powerful tool for you to keep data safe. You can use it to backup and restore system, create bootable media in case of your computer boot failed, and so on.